Showcase your coastal style with the Colonial Light Blue Ocean Life Rug - 2 x 8. 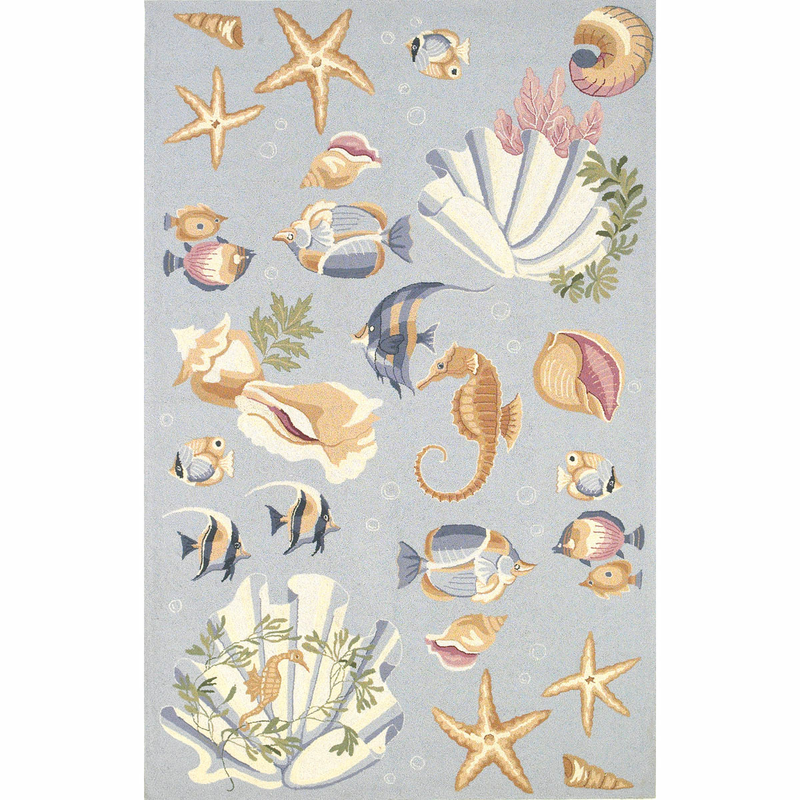 This nautical area rug is designed with detailed sea creatures and shells on light blue. For further offerings, we invite you to take a moment to view our entire inventory of coastal area rugs at Bella Coastal Decor today.